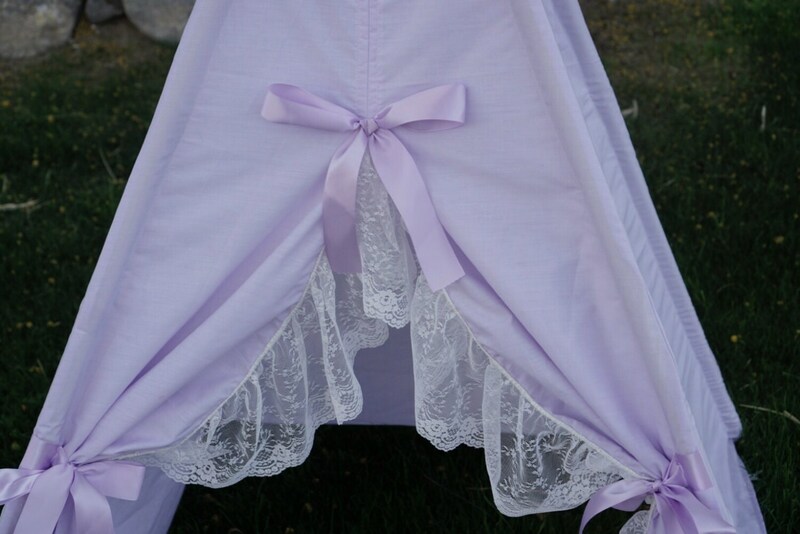 Purplecious, with lavender base and extra wide ruffle lace with scallop edge. 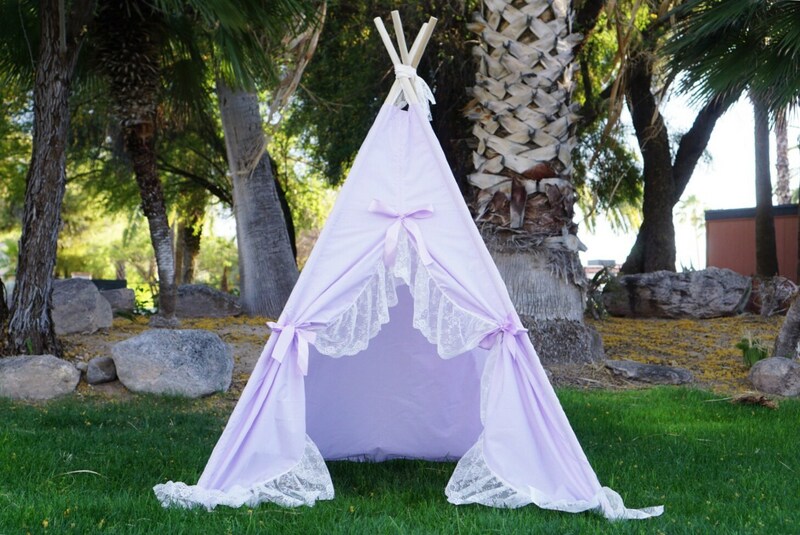 The teepee uses lightweight lavender base cotton blend. 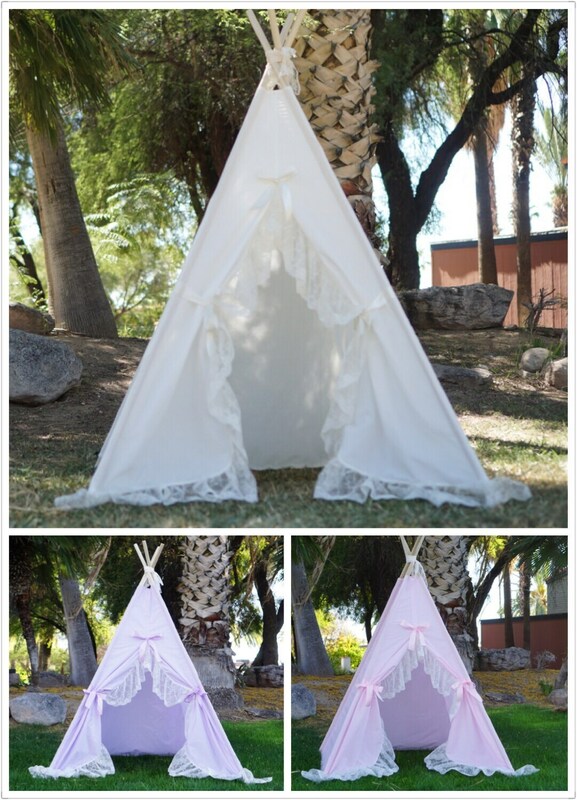 The fabric is breathable and will allow more light coming in the tent which makes it friendly for summer and photography. 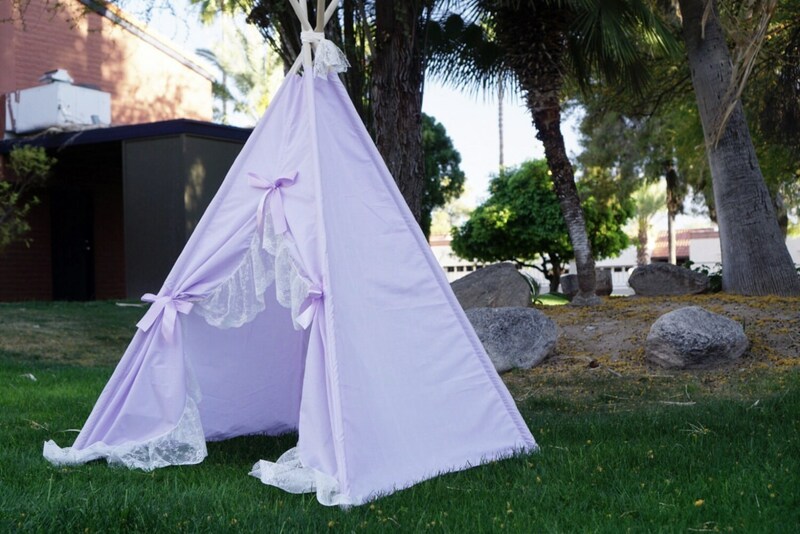 The base size of the teepee is 42inches*42 inches.